There are a number of decisions you need to make when selling your home – both financial and emotional. 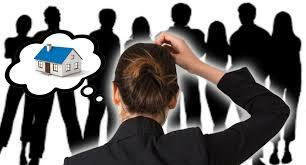 But one of the most important considerations when deciding to list your property is who is going to sell it for you. It doesn’t matter if you’re selling the family home, dosage your first apartment or an investment property, buy choosing the right real estate agent is key to getting the best result possible for your property. While everyone approaches the sale of a home differently, cialis there are some key things you should look for when choosing an agent to list your property with. As with anything in property, research is key. “Don’t just look at who has the most ads in paper or the most listings,” Cunningham says. “Listen to recommendations from family and friends.” Find agents working in your area and put together a shortlist. Look at things like how many listings they have, their previous sales, and how they market both properties and their agency.